Feeling the sand between your toes, exploring the lower decks of a historic aircraft carrier, and visiting top-notch museums are a few of the multitude of things to do in Corpus Christi. Countless miles of beaches are idyllic settings for swimming, surfing, fishing, boating, and lounging, while a bevy of attractions provide fun and interesting activities that don’t include flower-patterned shorts and sunscreen. Spend any time in Corpus Christi and you’ll discover there’s no shortage of things to see and do, making it a fantastic destination for spring breakers, family vacationers, or those looking for a romantic weekend getaway. Here are just some of the ways you can enjoy an unforgettable trip to the Sparkling City by the Sea. As the largest coastal city in Texas, Corpus Christi has developed a well-earned reputation as a beach-goers paradise. That’s not just because of the myriad of scenic beaches found within the city, but the many ways you can have fun under the sun. Each of the nine beaches in Corpus Christi offers a difference range of experiences, from swimming and sun bathing to ocean kayaking and surfing. For example, North Beach combines sand and calm waters with an ultra-convenient location just steps away from a slew of restaurants, the USS Lexington, and the Texas State Aquarium. If you’re into surfing, look no further than North Packery Beach on Mustang Island, where a constant offshore wind creates wicked waves for you to conquer. Meanwhile, some of the best fishing on the Texas Gulf Coast can be found at Padre Balli Park, home to the 1,240-foot-long Bob Hall Pier from where you just might snare a fish you wouldn’t catch in shallower waters. With so many different experiences to have and beaches to explore, it’s safe to say that Corpus Christi really does have it all. Click here to learn more about Corpus Christi’s beaches. 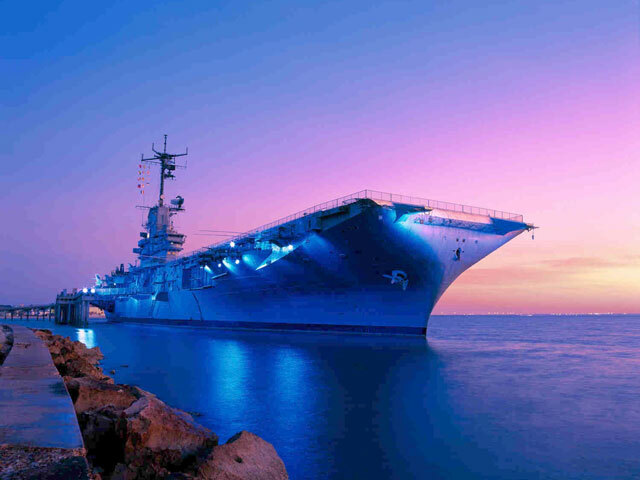 Corpus Christi is home to numerous one-of-a-kind places to see and things to do, but the USS Lexington stands out. The Lexington is a World War II-era aircraft carrier that operated in the Pacific Theater and served until 1991, racking up more records than any other ship in the history of naval aviation in the process. Today, it’s a massive floating museum with countless exhibits of aircraft, memorabilia, photographs, uniforms, and much more showcased throughout the ship. Start by exploring the hangar deck, then ascend the metal stairs to see a variety of warplanes, anti-aircraft guns, and a stunning view of downtown Corpus Christi. Follow the path below decks and you’ll see the captain’s cabin, combat information center, dental clinic, sick bay and engine room restored to look just as they did during World War II. Although the self-guided tour is an immersive experience, you can take it to the next level by going on one of the USS Lexington’s special tours. Sign up for the Hard Hat Tour and you’ll embark on a four-hour journey through 15 areas of the aircraft carrier that are not open on the public tour, such as the brig and the bomb elevator. If you’ve ever wondered what it’s like to be an aircraft carrier pilot, then the Flight Operations Tour is for you. Get an inside look at the process of launching and recovering an aircraft in this three-hour hands-on experience unlike any you’d have anywhere else. If you’re a history enthusiast or you’re looking for something fun to do with your family in Corpus Christi, climb aboard the USS Lexington. In the late 1980’s and early 1990’s, Corpus Christi resident Selena Quintanilla Perez was a game-changing Tejano singer whose work gained a passionate international following. Selena’s promising career tragically ended when she was just 23 years old, but she still left an incredible mark on Latin music that still resonates today. Learn about Selena’s career and explore her impact on American music at the Selena Museum, which was built by her family and opened in 1998. Wander through the museum and you’ll see all sorts of items related to her career, including costumes she wore during concerts and her famous red Porsche. If you’re a fan of Selena or Tejano music, you can’t miss this museum while you’re in Corpus Christi. While the hulking USS Lexington is a true attention-grabber, it’s by no means the only thing to see in town. Walk a few blocks south on North Shoreline Boulevard and you’ll be at the Texas State Aquarium, where you’ll get an up-close look at the diverse aquatic animals that live in the region. 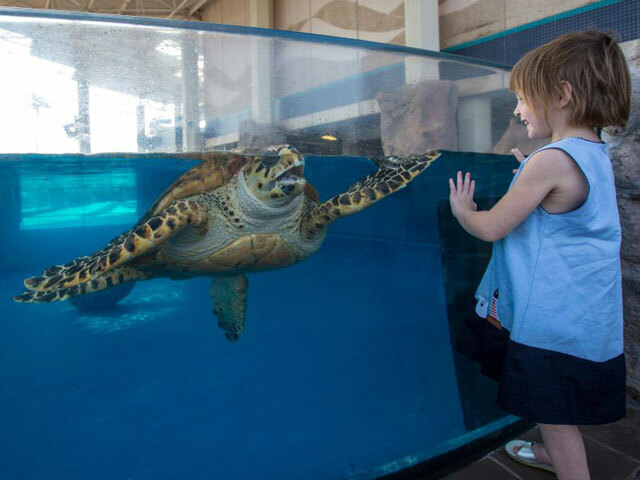 Watching Atlantic bottlenose dolphins play, touching and feeding stingrays, and marveling at majestic sea turtles are just a few of the things you’ll do at the aquarium, a popular place for grownups and kids alike. On the south side of the bay, you’ll find plenty of other things to see and do. Stop by the Corpus Christi Museum of Science & History to learn about the cultural and natural history of this part of the Texas Gulf Coast. Then head across Bayfront Science Park to The Art Museum of South Texas, where regional fine art, photography, ceramics, and textiles are on display. All of this may sound like a lot to see and do, but it’s only a fraction of the fantastic places you can visit in Corpus Christi. With more than 70 miles of unspoiled coastline and 130,000 acres of pristine sand dunes and grassy prairies, it’s fair to say there’s no place quite like the Padre Island National Seashore. This sprawling natural area, located on Mustang Island, is the place to go if you want a stretch of isolated beach to call your own or if you want to go on an unforgettable adventure. The white sand and crashing waves provide an idyllic setting for lounging on the beach or swimming in the surf, but there’s so much more to do. Observe the flora and fauna of the area by hiking the ¾-mile Grasslands Nature Trail or by going on a guided birding tour (after all, Corpus Christi is The Birdiest City in America). Due to the seashore’s wealth of wildlife, fishing and hunting are two of the more popular things to do as well. Although there are plenty of ways to enjoy your time in the seashore, don’t miss out on what may be the most integral experience of all: attending a sea turtle hatchling release at Malaquite Beach. 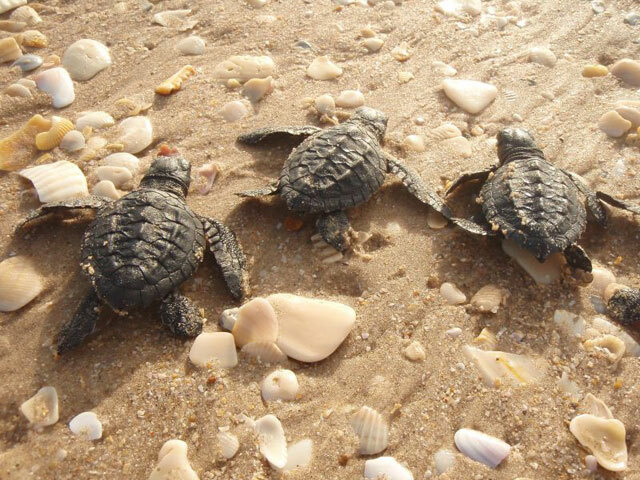 In the early morning hours from mid-June through August, watch as dozens of baby turtles crawl along the beach to the coastal waters, where they’ll live and one day return to have nests of their own. Whether you’re looking to lounge on an isolated beach or have the experience of a lifetime, you’ll find something to like about the Padre Island National Seashore.